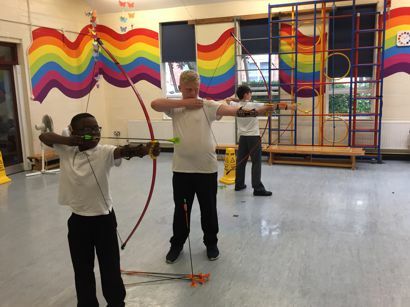 During the past few months a group of our members have been working in local schools to introduce archery to the pupils. 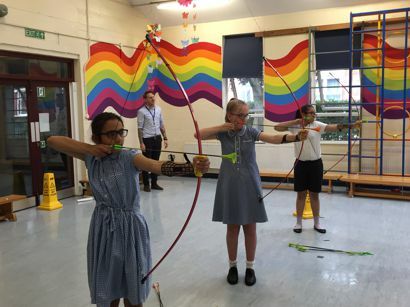 We have worked with pupils from Years Five and Six using the 'Arrows' scheme which has been specifically designed to introduce the sport to children in a fun and safe manner, while still following the correct archery procedures. In this way the pupils get a flavour of the sport and learn skills which are directly transferable should they wish to pursue the sport further. We have worked with mixed groups of all abilities proving how completely inclusive the sport is. We were invited to attend a school fete where we ran a 'have a go' session for pupils, parents and other visitors to the school, and we look forward to working with new groups of pupils in the next academic year.
" 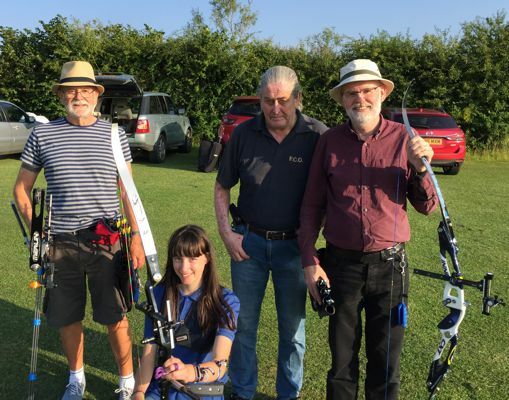 I enjoyed being in different groups, holding the bows and shooting the arrows "
" I enjoyed using real arrows and bows "
" I enjoyed getting the chance to do something new "
" My favourite thing about Archery is shooting real arrows and bows. 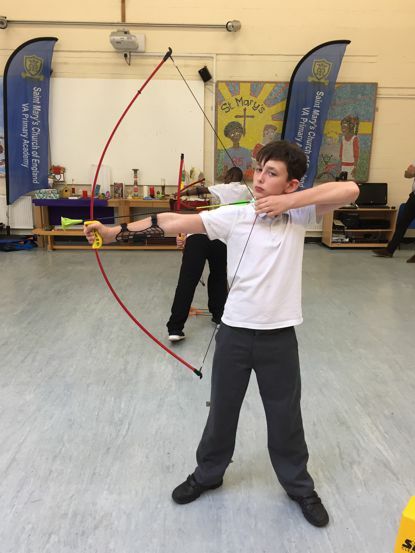 I recommend that other children in Primary Schools should get a chance to learn Archery because they will learn something new and it is fun "
" It's easy, and you will have fun "
" Archery is fantastic, one of the best sports in the world "
Copyright © 2017 Targetcraft Archers. All Rights Reserved.